$25,825 x 84 Months @ 4.7%, 4.70% Effective APR (cost of borrowing $4,504). $0 down payment. Heated Seats, Heated Steering Wheel, Lane Keep Assist, Collision Mitigation, Android Auto! Newly redesigned for 2019, this Mazda3 is ready for a new generation of car owners. Like all Mazdas, this all new 2019 Mazda3 was built with one thing in mind: you. 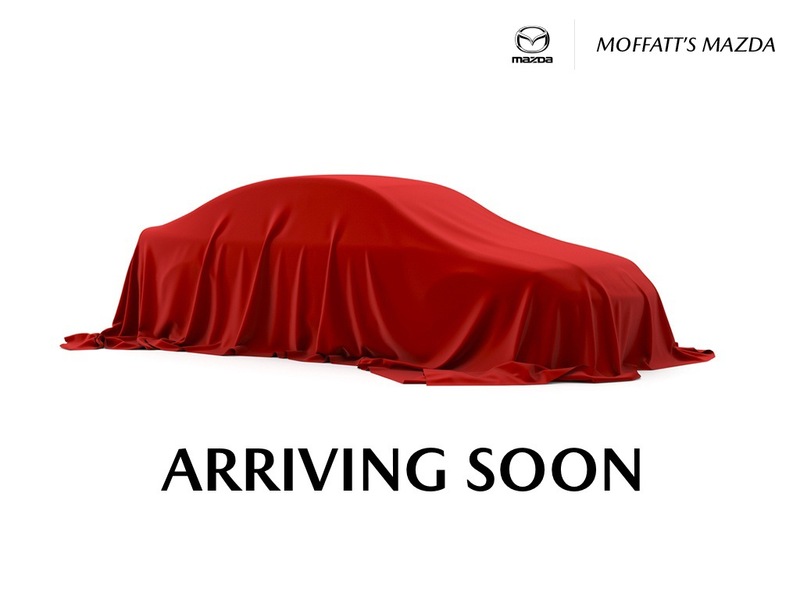 This vehicle wasn't built to simply get to your next destination, this all new Mazda3 was designed to enhance the experience of your journey. For an all new car with truly thoughtful design in every detail, check out this fully redesigned Mazda3. This titanium hatchback has a manual transmission and is powered by a 2.5L I4 16V GDI DOHC engine. Given that economical motor it gets 9.2 L/100 km in the city and uses just 6.6 L/100 km out on the highway according to Transport Canada. Our Mazda3's trim level is GS. This Mazda3 GS brings some great modern comforts like heated front seats, heated steering wheel, automatic climate control, aluminum wheels, rain sensing wipers, and heated power side mirrors with turn signals along with driver assistance features like pedestrian detection, distance recognition, stop and go adaptive cruise control, forward obstruction warning, lane keep assist, smart brake support, advanced blind spot monitoring, automatic highbeams, and driver attention alert. This GS also comes with an 8.8 inch Mazda Connect display, navigation ready, Android Auto, Apple CarPlay, Bluetooth, texting assistant, and USB connectivity. Other great features include keyless entry, rearview camera, LED lighting, steering wheel cruise and audio controls, and a 7 inch instrument display. This vehicle has been upgraded with the following features: Heated Seats, Heated Steering Wheel, Lane Keep Assist, Collision Mitigation, Android Auto, Apple Carplay, Bluetooth. To view and download a brochure open this url https://cdn.mazda.ca/common/cars/brochures/2019-mazda-3-interimbrochure-en.ts.1901111944130000.pdf. 4.7% financing for 84 months. Buy this vehicle now for the lowest bi-weekly payment of $166.64 with $0 down for 84 months @ 4.70% APR O.A.C. ( Plus applicable taxes - & fees ). Incentives expire 2019-04-30. See dealer for details.